One option would have politicians craft a spending plan to cover this, the 2016 fiscal year ending June 30, before moving on. "I think we've kind of blown past that deadline already," Senate Republican Leader Christine Radogno said Wednesday following GOP Gov. Bruce Rauner's budget address. "We can try to close the gap for this year. But we are where we are," she said. "Whether it's one, two, 18 months, I don't think is the relevant question. The relevant question is how do we get this state back on a track of sustainable financing and providing services?" A top fiscal official with Rauner's office says he'd never imagined it would reach this point, but now that it has, he suggests the best way to go forward would be to develop a two-year budget, covering both the 2016 and 2017 fiscal years. He says that would allow any potential, future structural changes to have more time to generate savings. He also says it would be difficult to balance a budget this far in. But Democratic House Speaker Michael Madigan sees it differently. "Budget making can get to be very difficult and very complex," Madigan said Wednesday. "So I would simply suggest let's do it one year at a time." However, there's no sign Democratic legislators and Rauner are any closer to reaching a budget deal. Gov. 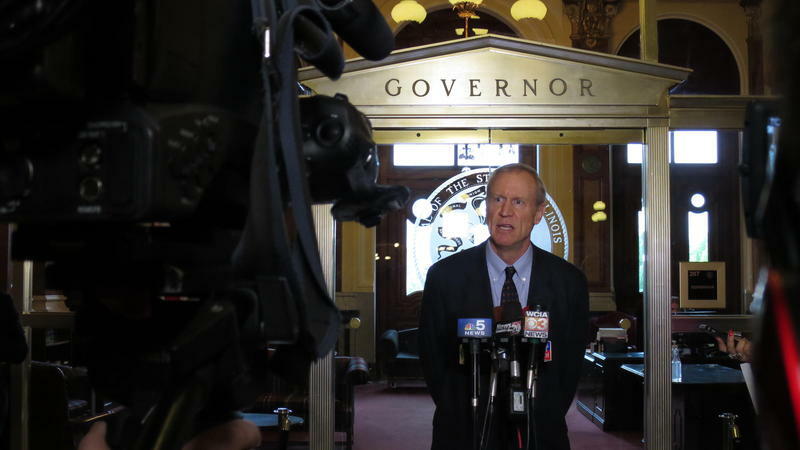 Bruce Rauner will give his second annual State of the State address at noon Wednesday. After a year of stalemate, he's expected to make some effort to bridge a bipartisan divide.